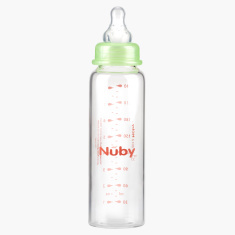 Nuby Glass Feeding Bottle - 240 ml | Green | Anti-colic bottles to prevent baby from gas and colic. 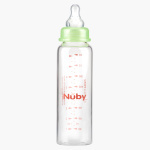 Get this advanced designed and developed glass feeding bottle which has the antic-colic technology. These glass bottles are chemical-free, non-toxic and naturally free from BPA.